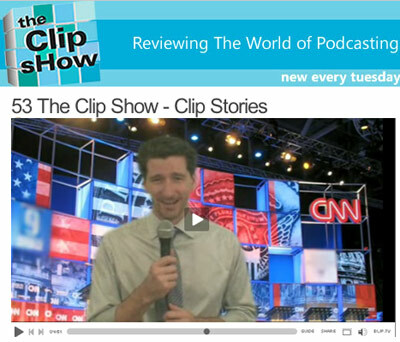 The Clip Show, probably the top show covering and rating videoblogs, dedicated their most recent episode to my citizen journalism projects Minnesota Stories and The Uptake. Gosh, thanks Jim and Chuck. It's always a thrill to get noticed outside of our chilly northern clime, which is currently way too hot and sticky. Vlog Santa is a big Clip Show fan, so much that he took time out of his fat lazy summer vacation to record this video. To celebrate, I plan to chuck raw food at you the next time I see you. Please let me know what foods you prefer to have thrown at you. Local produce, perhaps?